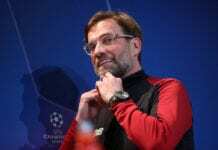 During a long conversation with Jamie Carragher for The Guardian, Steven Gerrard revealed that succeeding Jürgen Klopp is presumptuous. Now that Steven Gerrard is a professional manager for Rangers from Scotland, emerging rumors of him possibly succeeding Jürgen Klopp at Liverpool in the future is becoming inevitable. The German manager is currently doing a fantastic job with the Reds, he has the squad at the very top of the Premier League table and has been undefeated throughout the whole season. But Steven Gerrard is a bonified Liverpool legend, the fans do expect him to eventually return and take control of the squad in order to follow the tradition. But things are not as black and white as people might assume for Stevie, he doesn’t think that creating rumors of him possibly taking over the team once Jürgen Klopp leaves is a very good idea. 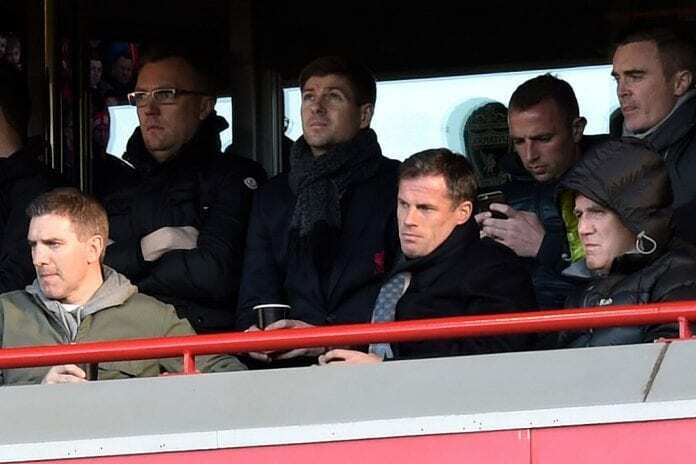 Gerrard gave an interview to The Guardian, the conductor was his former teammate Jamie Carragher and they spoke about several topics related to Stevie’s career and what he plans to do with the future. But as soon as Jamie asked him about the possibility of replacing Klopp, Steven immediately said that it would be disrespectful to assume anything. Steven Gerrard might not be the ‘right man’ to replace Jurgen Klopp. That’s according to the man himself. “Liverpool have one of the best managers in the world and are flying high. Just because you have been a successful player does not mean you have the divine right to be next in the queue,” said Gerrard to Jamie Carragher on The Guardian. “I am desperate to be successful at Rangers,” he added. “But I do not see myself as someone who will end up managing 10 or 12 different clubs, going here there and everywhere and different countries. Right now, I just don’t see that. And this job has all my attention,” he concluded. Even though Liverpool currently doesn’t really need to think about any new manager for the future, there is no doubt that Steven Gerrard does have a major right above anybody else to at least have the opportunity to get a crack at coaching the team of his childhood. The Scousers have the idea that life hasn’t been as fair to Steven Gerrard as it should’ve at Liverpool, because even though he did win a Champions League, the former skipper was never able to win a Premier League trophy during his whole career at the cub. Maybe life will smile back at him as a manager, the trophy he could never win as a player could be right around the corner when he takes control of the Reds in the future. But for now, Gerrard does well to deviate attention from him as Jürgen Klopp keeps making history with the squad this season. Liverpool is currently at the top of the Premier League table under the German manager, they might end the season on a high note and finally, win the tournament for the first time in history since it was created 28 years ago. How long do you think it will take Liverpool to win their first Premier League in history? Please share your opinion in the comment section down below.